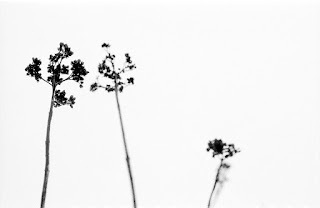 Helène Raccah is a keen passionate photographer, daughter of a photographer. Also my aunt. 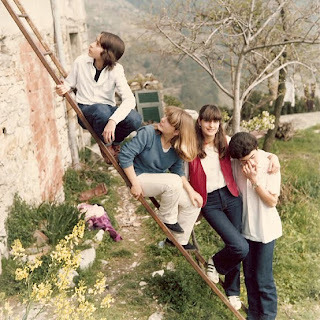 My uncle Mino used to bring us four cousins, like if we were brothers, in a wonderful place right above the sea in the Cinque Terre, Liguria, for our Easter and summers holidays. From the tiny balcony (just outside the image) you could see only sea in front of you and some steep land below. This photo is taken in our last year there in San Bernardino. 1980. Paolo, Sandra, Silvia, Ilik, us four cousins. Something atop the ladder, Helène taking the photo. Che bei ricordi Paolo! com'è tipicamente 80's questa foto vista oggi. Judas pointed down the road And said, "Eternity!"